Nigeria Labour Congress President, Ayuba Wabba on Wednesday led thousands of teachers in Kaduna to protest the sacking of 21,870 primary schoolteachers. 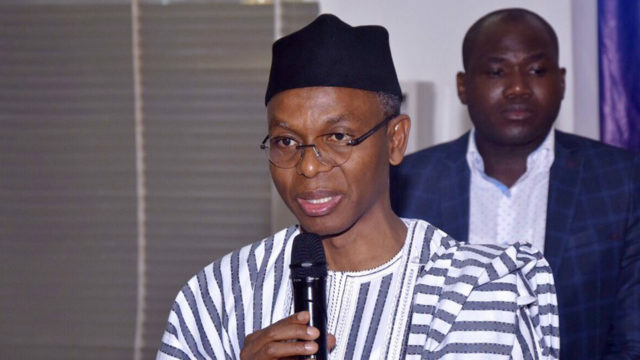 The Kaduna State government had organised a competency test for 33,000 primary school teachers in the state. 25,000 of the teachers had flunked the primary four test administered to them. After threats that they may lose their jobs, the teachers resulted to fasting and prayers. The education board in the state recently pasted names of 11,220 teachers considered qualified to teach in public primary schools. On Wednesday, the NLC and the Nigerian Union of Teachers led a protest against the teachers’ sack. Chairman of the NUT, Mr. Audu Amba issued a two-week ultimatum to the government to rescind the decision to sack 25,000 workers. While addressing the workers, Wabba said the competency test was a plot to sack teachers. He said the only recognized professional body to test teachers’ competence is the Teachers Registration Council of Nigeria.